The LilyPad ProtoSnap series is a powerful learning tool for students to explore prototyping with wearable electronics. After building confidence in making simple e-textile circuits with the guided projects of the LilyPad Sewable Electronics Kit, students can begin writing their own programs in Arduino to use with the LilyPad ProtoSnap Plus (available stand-alone or in a kit or classroom pack). LEDs Basic program structure (setup and loop functions). Overview of digital output, statements and commands. LEDs What is an RGB LED and color-mixing theory. Overview of analog output and PWM. Additional color theory (creating tertiary colors). LEDs Iterating variables with For Loops. LilyPad Buzzer How a buzzer works, overview of setting frequency and duration. Creating sound using Arduino's Tone functions. Switch Differences between a button and a switch. Using variables to store a state. Using If statements for decision making in code. LEDs How a light sensor works. Overview of analog input and analog-to-digital conversion. Using Arduino's serial monitor and serial commands. Light Sensor Overview of using a row of LEDs as a bar graph. Creating custom functions in Arduino. Button Combining code concepts from activities 5, 6, 7 and 9. Using the Map function in Arduino. LEDs Combining code concepts from activities 2, 4, 7 and 8. Using the Random function in Arduino. Each of these activities begins with a list of boards used and an illustration highlighting the active parts of the circuit. Explanations of any new hardware used and new concepts covered are introduced, and then students are prompted to copy and paste (or open a pre-loaded example file in Arduino) to try out the code for the activity. The guide also includes a "What You Should See" section with video of the ProtoSnap Plus as a visual and audio demonstration of each example program in action to be used as a preview or follow-up to the lesson. After students upload the code to their LilyPad USB Plus, the "Code to Note" and "Coding Challenges" sections explain and expand on each of the new concepts introduced in the activity. At the end of the activity guide is a "Troubleshooting" section that highlights common errors students encounter when modifying and creating their own code with guidance on how to identify and correct them. 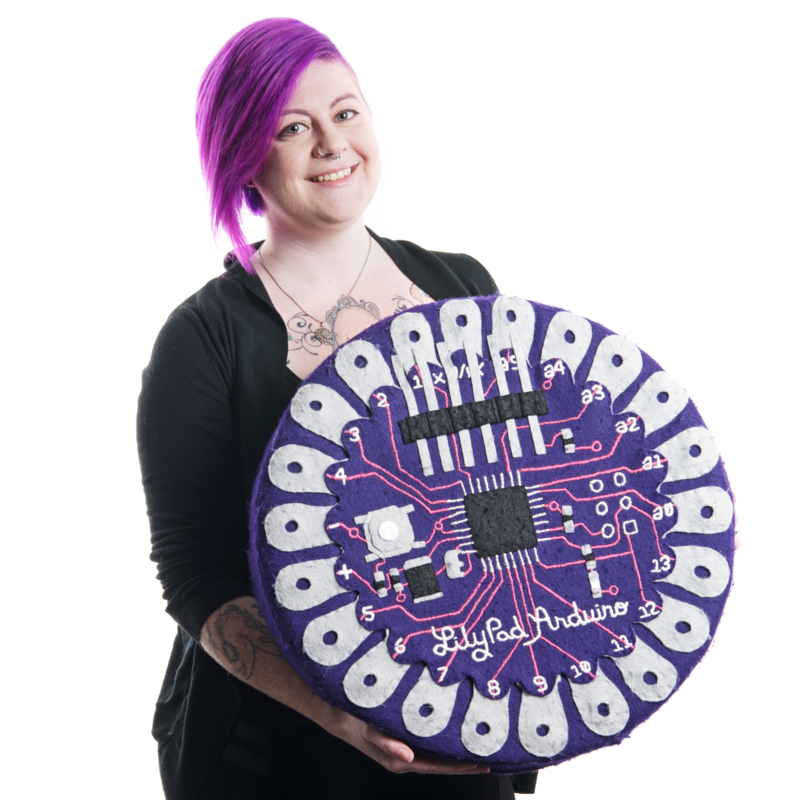 SparkFun Education is excited to share this carefully crafted resource for educators and students looking to learn Arduino through the LilyPad system. 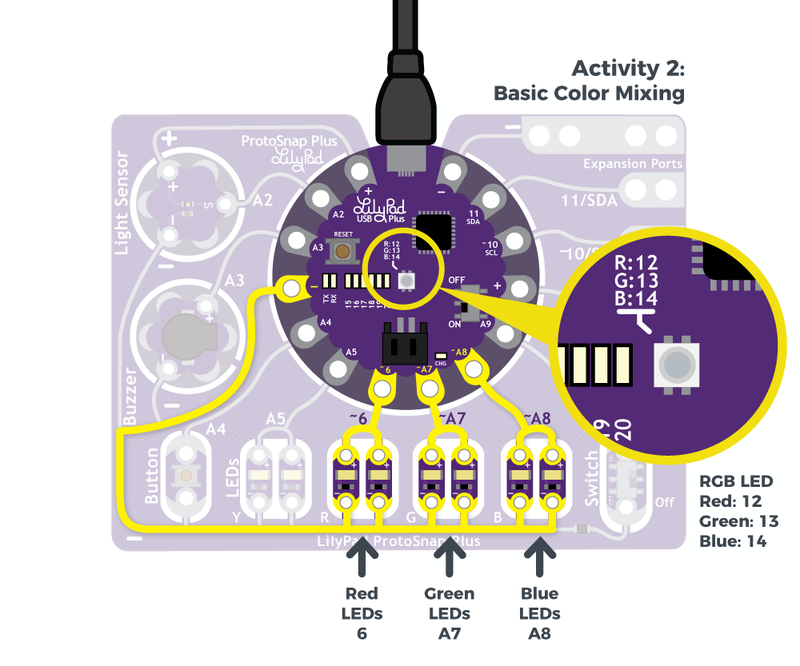 For classrooms that have the previous version of this board, the LilyPad ProtoSnap Development Board (or LilyPad Lab Pack), we've created a version of the guide compatible with these products using the new programming activity sequence.